01 August 2018, a year to the day, will see Sport and Wellbeing introduce another change to their offer, but this time it’s a change led by student feedback that put your needs first. 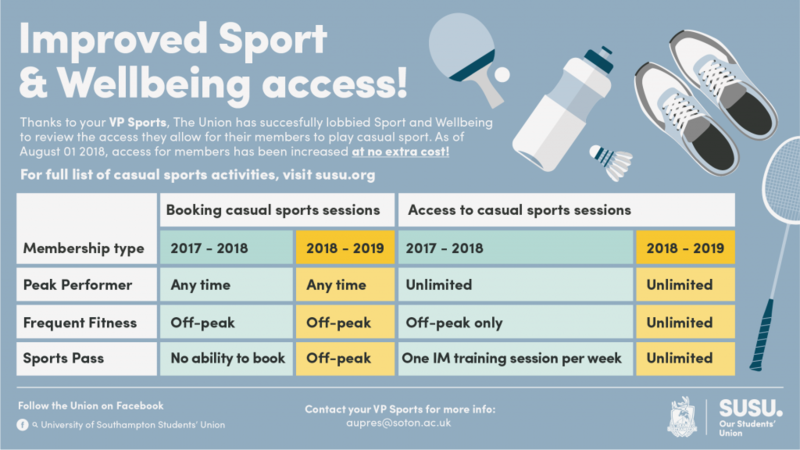 Following continued lobbying by the Students’ Union, Sports Pass members will now be able to book casual sports activities at off-peak times; and Sports Pass and Frequent Fitness members will now be able to attend any casually booked sports activity regardless of what time it occurs. The casual sport activities that are available are: 5 a-side Football, Badminton, Basketball, Cricket, Dodgeball, Frisbee, Football (3G Astro), Futsal, Hockey, Netball, Squash, Table Tennis, Tennis, and Volleyball. Previously, Sports Pass members had no ability to book or attend any casually booked sports activities, making the £110 price tag seem steep for many student budgets considering the very limited amount of access they were getting out of it. As an added frustration, Intramural players struggled to book and attend their one allocated training session per week. As part of the changes we have simplified the options for Intramural players by removing the concept of “Intramural training” and simply allowing all members to book activities and play together. Sport and Wellbeing and the Union acknowledge that these changes will mean more value and a better customer experience for thousands of students. I am incredibly pleased to see our constructive student feedback taken on board by the University to create a positive change in policy. 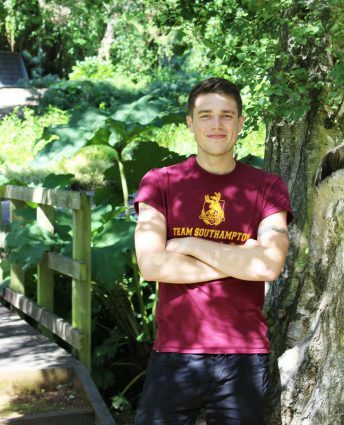 This change will hopefully see you, our students, having more opportunities to get active and getting more enjoyment out of your sporting experience during your time here at Southampton.